Yes it is a process and it means developing simple habits of reading and study and maintaining them. It all begins by starting and learning to enjoy what you are doing. The best advice i can give anyone though is to locate a subject you have worked on and enjoyed. Then collect several additional books on the same material. You are already an expert. This will enhance even that and open additional viewpoints. you will understand what mastery is also. Take that attitude forward and never quit. Make time work for you..
Everyone wants a better, and smarter brain to process information faster and have better memory recall. The most brilliant minds don’t have more brain power than the average person, they just use their brains more efficiently. Your brain’s health is a product of your daily habits. To optimize your brain, all you have to do is make slight adjustments to your routine. 30 days offer just enough time to realistically adopt new habits that can help you get smarter and think better, yet long enough to be challenging. In 30 days or less, you can adopt some of these habits to boost your brain power, improve your mental clarity and build a better brain. Challenge yourself with a whole new experience. Do more of what exhausts your brain. Your brain needs exhaustion to grow. Take up new, cognitively demanding activity — something new you’ve never done before: dancing, piano lessons, a foreign language — is more likely to boost brain processing speed, strengthen synapses, and expand or create functional networks. “When you’re learning something new, and your brain is feeling like it wants to take a nap, that’s when you know you’re doing things that are growing your brain neurologically, not just maintaining it,” says Dr. Jennifer Jones, a psychologist, and expert in the science of success. Every time you learn something, you create new connections, and the more connections you can maintain, the easier it will be to retain new information in the future. Comfort provides a state of mental security. When you’re comfortable and life is good, your brain can release chemicals like dopamine and serotonin, which lead to happy feelings. But in the long-term, comfort is bad for your brain. Without mental stimulation dendrites, connections between brain neurons that keep information flowing, shrink or disappear altogether. An active life increases dendrite networks and also increase the brain’s regenerating capacity, known as plasticity. “Neglect of intense learning leads plasticity systems to waste away,” says Norman Doidge in his book, The Brain That Changes Itself. 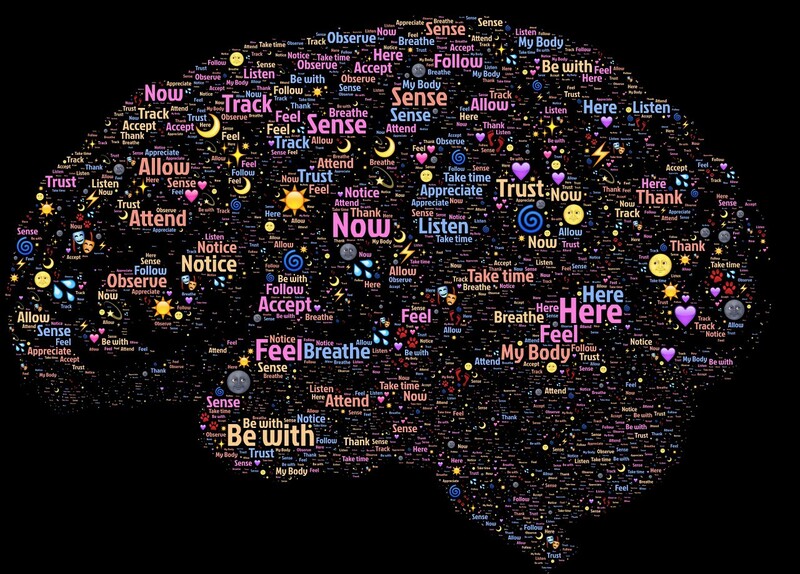 Michael Merzenich, a pioneer of plasticity research, and author of Soft-wired: How the New Science of Brain Plasticity Can Change Your Life says that going beyond the familiar is essential to brain health. “It’s the willingness to leave the comfort zone that is the key to keeping the brain new,” he says. Seeking new experiences, learning new skills, and opening the door to new ideas inspire us and educate us in a way improves mental clarity. There’s plenty of research that shows meditation increases the grey matter in your brain. Meditation can increase the thickness of regions that control attention and process sensory signals from the outside world. Yes, meditation makes your brain bigger (literally). Meditation is the art of silencing the mind. When the mind is silent, concentration is increased and we experience inner peace and more. But concentration requires a great amount of effort and time. In less time than it takes you to have lunch, you could be expanding your brain — literally. Just like building muscles, you can beneficially build the strength and even the size of your brain in the healthiest and most natural of ways. Meditation has been proven to benefit the brain. “Although the practice of meditation is associated with a sense of peacefulness and physical relaxation, practitioners have long claimed that meditation also provides cognitive and psychological benefits that persist throughout the day,” says study senior author Sara Lazar of the MGH Psychiatric Neuroimaging Research Program and a Harvard Medical School instructor in psychology. The problem is getting started. It’s kind of like going to the gym. We all know we should do it, but ..
Our brains change and develop in some fascinating ways when we read. As you read these words, your brain is decoding a series of abstract symbols and synthesizing the results into complex ideas. The reading brain can be likened to the real-time collaborative effort of a symphony orchestra, with various parts of the brain working together, like sections of instruments, to maximize our ability to decode the written text in front of us. Human beings invented reading only a few thousand years ago. And with this invention, we rearranged the very organization of our brain, which in turn expanded the ways we were able to think, which altered the intellectual evolution of our species. . . . Our ancestors’ invention could come about only because of thehuman brain’s extraordinary ability to make new connections among its existing structures, a process made possible by the brain’s ability to be reshaped by experience. Reading involves several brain functions, including visual and auditory processes, phonemic awareness, fluency, comprehension, and more. The same neurological regions of the brain are stimulated by reading about something as by experiencing it. According to the ongoing research at Haskins Laboratories for the Science of the Spoken and Written Word, reading, unlike watching or listening to media, gives the brain more time to stop, think, process, and imagine the narrative in from of us. Reading every day can slow down late-life cognitive decline and keeps the brains healthier. Getting a full night of sleep, going for a run, maintaining a healthy diet, and keeping up with family and friends all have well-documented and significant impacts on overall cognitive function. What’s even more important for your total well-being is journaling. Journaling helps you prioritize, clarify thinking, and accomplish your most important tasks, over urgent busy work. Numerous studies (of the scientifically rigorous variety) have shown that personal writing can help people better cope with stressful events, relieve anxiety, boost immune cell activity. Sitting still all day, every day is dangerous. Love it or hate it, physical activity can have potent effects on your brain and mood. The brain is often described as being “like a muscle”. Its needs to be exercised for better performance. Research shows that moving your body can improve your cognitive function. What you do with your body impinges on your mental faculties. Find something you enjoy, then get up and do it. And most importantly, make it a habit. Build a better exercise routine, and maintain it. Simple aerobic exercise such as walking 30–45 minutes of brisk walking, three times a week, can help fend off the mental wear and tear, and improve episodic memory and executive-control functions by about 20 percent, according to Art Kramer of the University of Illinois at Urbana-Champaign. A good sleep reduces both physical and mental stress. The brain accomplishes reorganization of information during sleep. Scientists have known for decades that the brain requires sleep to consolidate learning and memory. Far from being lazy, napping is scientifically proven to help improve concentration and boost productivity when you reach a brain power plateau. Studies on napping suggest that it increases reaction speed and helps with learning — provided naps are no longer than 20 minutes. Doing nothing is a skill. It’s hard, we know, but doing nothing is a good way to refocus your brain and help you pay attention to the present time. Spending time unplugged, disconnected, and in silence can improve your focus, productivity, and creativity. “….learning to do nothing will help you retake control of your attention at other times, too. One trick: schedule “do nothing” time, like you’d schedule tasks. Just don’t expect others to understand when you decline some social event on the grounds that you’re busy not being busy”, says Oliver Burkeman. Neuroscience also reveals that silence has nourishing benefits for your brain. The neuroscientist Marcus Raichle says his best thinking happens in quiet places. For Raichle, silence was shorthand for thoughtful solitude. The brain is actively internalizing and evaluating information during silence. A study by Duke University regenerative biologist, Imke Kirste, found that two hours of silence per day prompted cell development in the hippocampus, the brain region related to the formation of memory, involving the senses. Exceptional creativity often happens in solitude. If you enjoyed this post, you will love Postanly Weekly, my free weekly digest of the best posts about behaviour change that affect health, wealth, and productivity. Join over 49,000 people on a mission to build a better life. NAFTA 2.0: Free Trade or Central Planning? Quit eating bacon, ham and pork? How do we practice alternative medicine? Are You Allergic to Peanuts, Dairy, Latex?